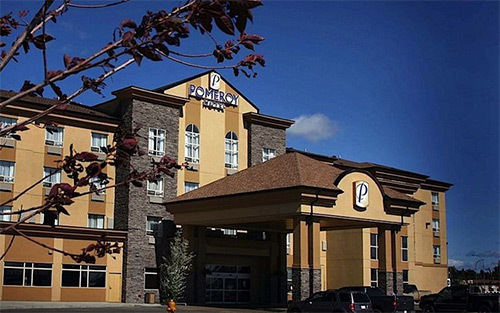 Catch a glimpse of BritishColumbia’s sexier side from the Pomeroy Hotel and Conference Centre – Fort St. John, one of the newest, most luxurious hotels in Fort St. John. Perfectly located mere moments from the downtown business, dining and entertainment districts, this ultra-modern gem embraces the concept of urban luxury in spectacular fashion. Immerse yourself in an ambiance that is equal parts modern chic and casual luxury – with the full complement of refined amenities catering to your every indulgence.